Tap this page to Join Serene Air Cabin Crew Jobs 2018 Apply Online Last Date which is 23rd December 2018 and all female individuals are suggested to register online before the due date and be a part of this reputed Airline in Pakistan. 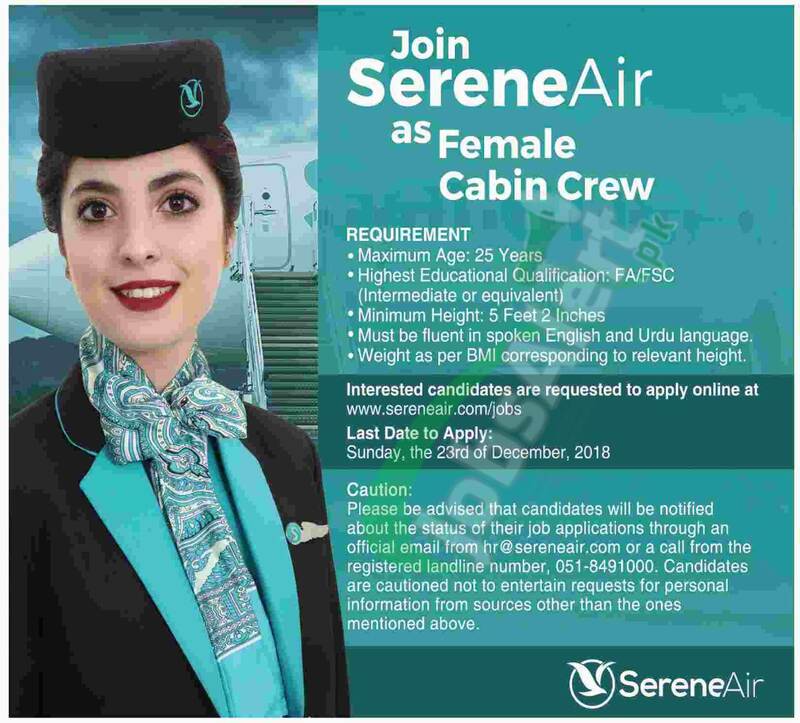 Serene Air Jobs 2018 are related to only Female candidates who are young at age of 25 years and at least Intermediate qualified and have possess the height at least 5' and 2". Such applicants are suggested to apply for the Serene Air Jobs Cabine Crew via online at the online portal of Airline before the above prescribed closing date.